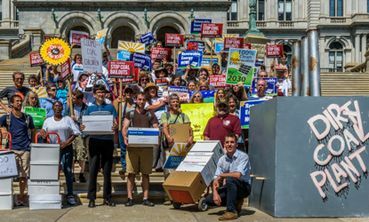 Thank Governor Cuomo for his leadership and let him know you are counting on him to develop a just and responsible transition plan for coal plant communities. i didn't get confirmation either. LEAVE ALL FOSSIL FUELS IN THE GROUND. if we are to avert Climate CATASTROPHE due to Global Warming. and BURNING and spewing into the Atmosphere. NO MORE exploration for new sources! LEAVE FOSSIL FUELS IN THE GROUND. Signed and noted. Thank you Anna!